OK, so my nesting has taken over. Not content with filling the freeze with veggie chilli, veg lasagna and mince pies (yum), I've also spent a while sorting out my Folksy shop. And that involved adding a PILE of new cards, some of which I've not shared here. So, whilst I've not had the energy to create anything new this week, I do have something to share. It's something I made for a publication call that was not selected. 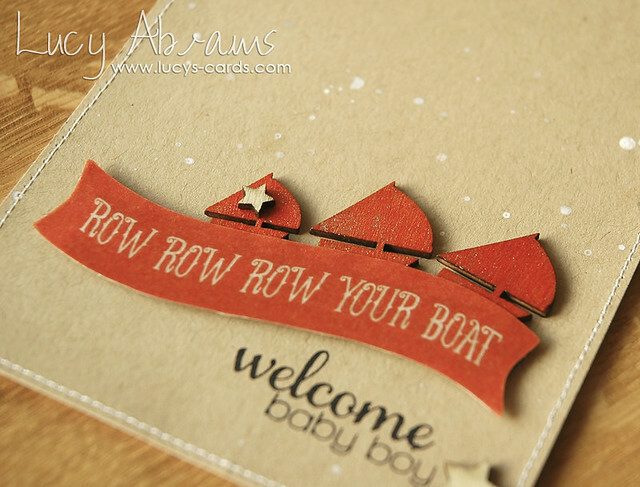 Lots of Studio Calico on this one - love these cute wood boats. I coloured them in with Copics to match the vellum sentiment (HERE), then added shine with a glitter pen. The sentiment is created with stamps from THIS and THIS set. 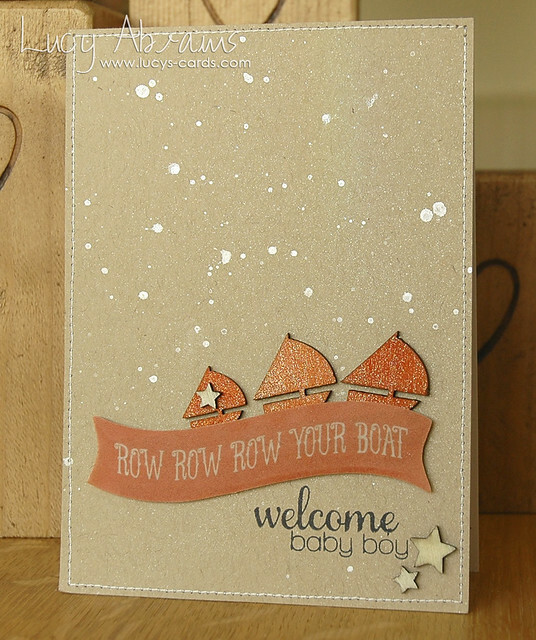 I added LOTS of Calico Shine Mister Huey's to the kraft card for shimmer and shine. And here's a glimpse at a few of the other cards in my shop… click on the pictures to go to the shop.